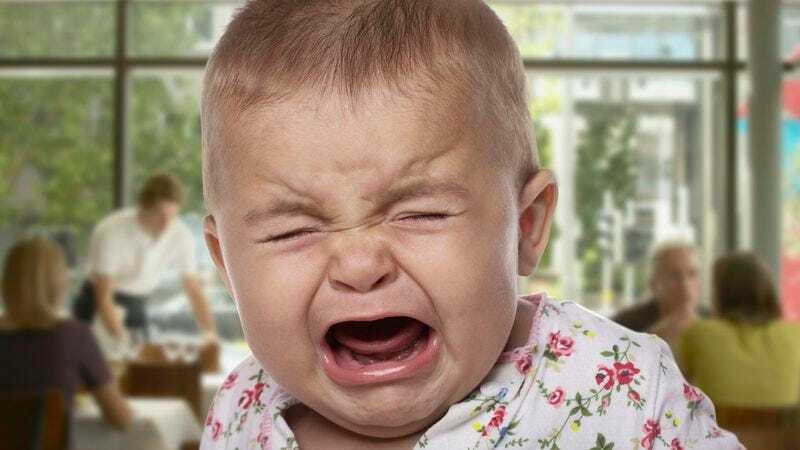 WOODBURY, MN—Noting how the pair’s failure to promptly resolve the situation was a clear indication of their inability to raise or care for another human being, sources confirmed Friday that the parents of a crying infant must not be any good. Initial attempts to subdue the wailing child, which reportedly included presenting her with a bottle and later a stuffed animal, are said to have failed miserably, leading onlookers to conclude that the inept adults lacked even the most basic child-rearing skills. In addition, the baby’s incessant screaming only worsened following the couple’s repeated attempts to soothe her, further highlighting their profound inadequacies as a mother and father. At press time, sources confirmed another child just a few feet away from the bawling infant was not crying, and was therefore being raised by good parents who loved her.